ROCKVILLE, Md. (DTN) — Growers should expect lower-than-average germination rates from their soybean seed next year, experts told DTN. Seed dealers are already putting a full court press on you to choose soybean seed varieties for the 2019 crop. Sampling for Soybean Cyst Nematode – Fall is the time! For the week of 6/24-6/30. No traps at the economic threshold for treatment for Western Bean Cutworm (WBC), European Corn Borer (ECB), or Brown Marmorated Stink Bug (BMSB). 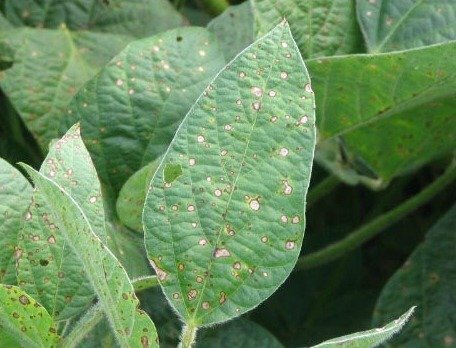 This is the time of year when we received our first call about dicamba problems in soybeans in 2017. We can probably expect any problems to become evident soon, based on the timing of postemergence applications and timeline for development of symptoms. By: Anne Dorrance, Ohio State University Extension plant pathologist. While sudden death syndrome (SDS) doesn’t appear until early reproductive stages, the fungus infects the plant in early stages. This season is ripe for high infestation as a record-cold April could encourage fungal spores that survive in the soil to germinate. Yes, we love the ag technology at our fingertips today. But every now and then we need to go back to the basics. Max Glover, agronomy specialist with the University of Missouri Extension, hits on five sustainable management practices that are the foundation of creating a viable soybean yield.